Derek McGee is hoping to follow up his man of the meeting performance at last year’s Around a Pound Tandragee 100 by claiming more silverware next month. Details of the 59th running of the famous old Irish national road race were officially announced on Monday night at Craigavon Civic Centre. McGee is among a host of leading Irish riders confirmed, including fellow southern Irishmen Derek Sheils on the Burrows Engineering/RK Racing Suzuki and Michael Sweeney (MJR BMW). 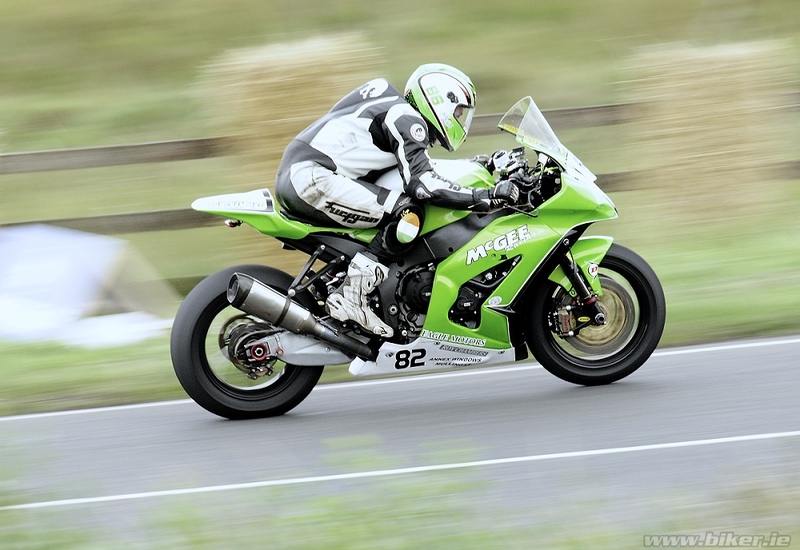 The Mullingar rider claimed a trio of Irish championship titles in 2018 in the Superbike, Supersport and Supertwin classes and clinched a double at Tandragee, taking victories in the Supersport and Supertwin races. He also finished as the runner-up in the feature Superbike race behind Manxman Dan Kneen and earned a podium in the Open Superbike race, taking third behind Sheils and Kneen, who sadly died in a crash at the Isle of Man TT last year. “We’ll be looking at doing the Easter short circuit meetings and it gives us a run out for Tandragee. I want to try and do a few more short circuits this year because it just helps sharpen you up a bit for the likes of the North West and TT. “Hopefully we might get a round of the British Supersport championship done before the end of the season too. “It’s difficult to fit everything in and we may take a bit of a step back with the smaller road races this year. We’ll do Cookstown and Tandragee to start and then after the Isle of Man TT we’ll make a plan for the rest of the season,” McGee added. “I had a good run at Tandragee last year and we got a couple of wins and finished on the podium on the big bike, so hopefully we can go one better this year. Rising star Adam McLean will line up on the McAdoo Racing Kawasaki machines, while former Senior Manx Grand Prix winner Tom Weeden will make his debut around the 5.3-mile Co. Armagh course for the new-look Burrows Engineering/RK Racing team. Banbridge man Shaun Anderson is also poised to have his first ride on the roads for new team Noel Williamson racing as he builds towards the Isle of Man TT, where he was so impressive last year. Entries also include Davy Morgan, Thomas Maxwell, Graham Kennedy, Darryl Tweed, Neil Kernohan, Andy Farrell and Damien Horan. Czech riders Michal ‘Indy’ Dokoupil and Veronika Hankocyova will also return to the event, while Dutch woman Nadieh Schoots is a newcomer to Tandragee, when she will join fellow female racers Melissa Kennedy, Yvonne Montgomery and Samantha Scott. Over 300 entries were received by the organising North Armagh Club, including 30 newcomers. A prize fund of around £11,000 has been put together, with £2,000 earmarked for the main Around A Pound Tandragee 100 Superbike race. With permission from Italian rider Dario Cecconi’s family, the ‘Spirit of Tandragee 100’ will be presented in his memory for the second year running. Mr Cecconi was tragically killed at the event in 2017. Practice will take place on Friday, May 3 (roads closed from 3pm-9pm). An eight-race programme will be held on Saturday, May 4, with roads closed from 10am-7am.